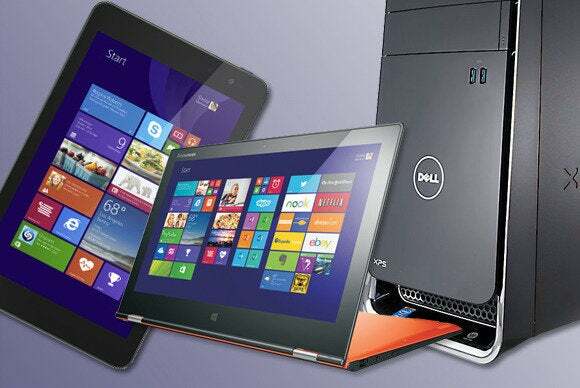 We name the best mobile and desktop computers that shipped this year. Have you heard the news? 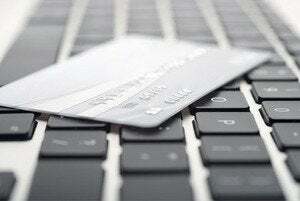 Sales of personal computers are dropping faster than the price of Detroit real estate. But if that’s the reason we saw so many great new PC designs in 2013, I hope the trend continues for a while. People need reasons to upgrade the machines they have, and the industry has been pumping them out like gumdrops this year. My definition of “personal computer” extends to all forms of PCs—provided they run Windows, that is. 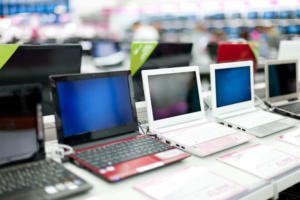 So this list includes all-in-ones, desktop towers, hybrids, Ultrabooks, and tablet PCs. The machines you’ll see here are the best of the best of what we saw in 2013, but they’re not ranked in any particular order (and there are at least two machines in each category). Gateway’s NE72206u is a lot of computer for $500. 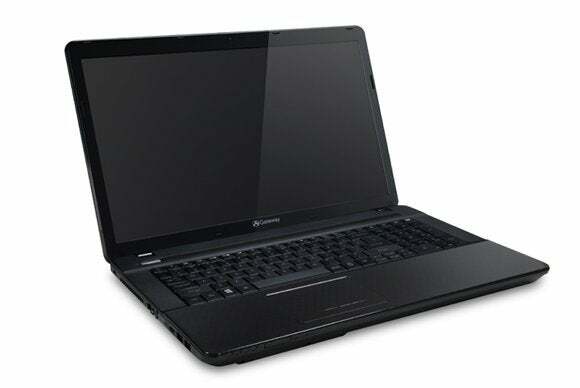 It’s a desktop-replacement model with a 17.3-inch display, a full-size keyboard, 500GB of storage, and an optical drive. How does Gateway manage to get the price tag so low? By using an AMD A6-5200 processor, for starters. Intel’s fourth-generation Core processors are much faster and way more power-efficient, but they’re also a lot more expensive. 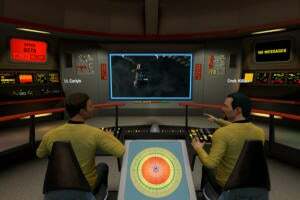 The Gateway also has a relatively low-res display, topping out at 1600 by 900 pixels. Still, if you need a desktop replacement and $500 is all you can pry out of your piggy bank, this is the mobile computer to buy. Now if you can gather up another $200, and don’t mind dropping down to a 14-inch display (it delivers the same resolution as the Gateway NE72206u, 1600 by 900 pixels), Lenovo has a $700 consumer-oriented laptop that you’re sure to love as much as we did in our review. 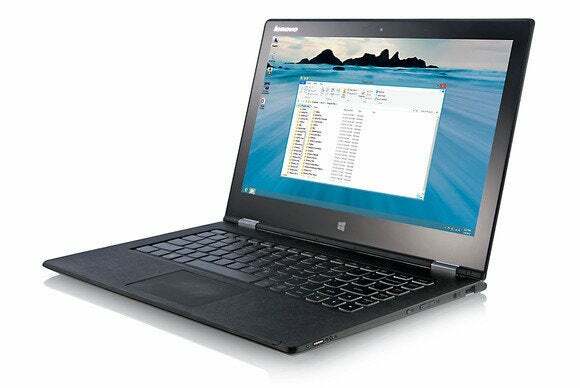 The IdeaPad U430 Touch features a fourth-generation Intel Core i5 processor, and that helped it land a solid WorldBench 8.1 score of 199 (nearly twice what the AMD-powered Gateway NE72206u mustered). Its 6.5-hour battery life is more than two hours longer than the Gateway's. We had to pry this notebook from our reviewer’s hands. She did not want to give it up. It’s one of the most expensive laptops we reviewed this year, but wow, is it ever powerful. There’s a fourth-generation Intel Core i7 processor under the hood, but you don’t need to settle for Intel’s integrated graphics because there’s a dedicated Nvidia GPU to power the 15.6-inch display. 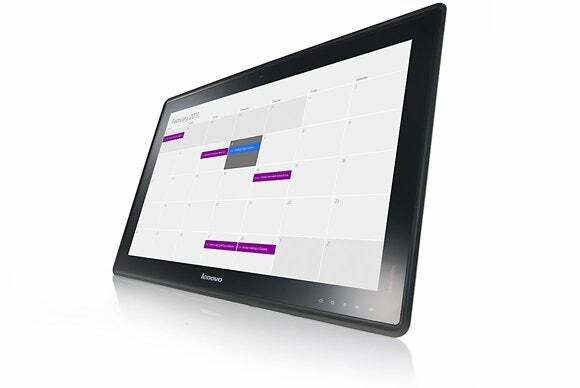 And we’re not talking about just any display: This touchscreen boasts a resolution of 3200 by 1800 pixels. That’s better than what Apple delivers on its vaunted 15-inch MacBook Pro with Retina display. If the XPS 15 is too rich for your blood, HP has a sweet little Ultrabook to tempt you—at less than half the price of Dell’s machine. 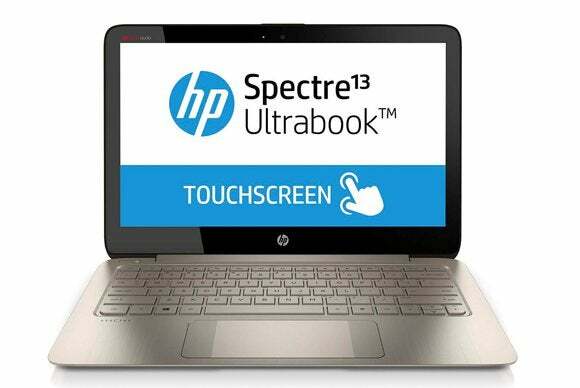 Now you’ll get “only” a fourth-generation Core i5 processor, a 13-inch screen, and a 128GB SSD compared, but the HP Spectre 13 is an undeniably sweet package. In addition to the 1920-by-1080-pixel display, we dig the Spectre 13’s new and innovative Control Zone trackpad that makes Windows 8 so easy to navigate. This machine will help you finish your work and give you an opportunity to play, too (as long as you don’t mind lowering the resolution a bit to play BioShock Infinite at 30 frames per second). Beauty, thy name is VAIO. 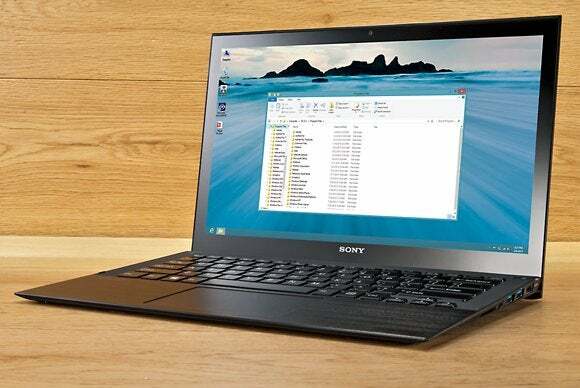 Sony’s drop-dead-gorgeous VAIO Pro 13 was easily the sexiest notebook to hit the market in 2013. The company’s engineers somehow managed to squeeze a fourth-generation Core i5 processor; a 128GB SSD; and a 13.3-inch, 1920-by-1080-pixel display into a sleek, carbon-fiber package that weighs just 2.34 pounds—2.9 pounds with its power supply! 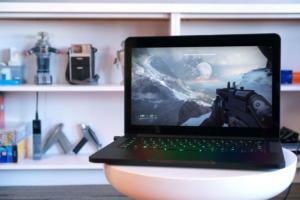 They had to leave out a discrete GPU to hit that target, but that’s a shortcoming only if you’re looking for a laptop to play hard-core games on (and if that’s the case, you might consider the 4.25-pound Razer Blade). The VAIO Pro 13 has plenty of power for everything else. 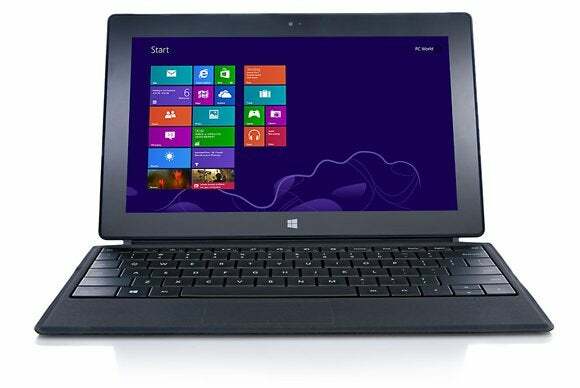 PC manufacturers have been struggling to come up with the perfect notebook/tablet hybrid for several years now. Few have come as close to building the perfect combo as Lenovo, with the IdeaPad Yoga 2 Pro. Like the aforementioned Dell XPS 15, the Yoga 2 Pro boasts a better-than-Retina display, and it has a set of double-jointed hinges that enable it to flip 360 degrees so you can use it as either a conventional notebook or a touchscreen tablet—with a 3800-by-1200-pixel display in both scenarios. Microsoft builds plenty of hardware, but the company apparently grew weary of waiting for one of its hardware partners to build a great hybrid that favored the tablet side of the equation. The Surface Pro 2 is the company’s second effort in that direction, and it’s a winner. Despite being more tablet than PC, the Surface Pro 2 can handle robust productivity tasks, including video editing and image processing. The Surface Pro 2 earned a WorldBench 8.1 score that was nearly twice as high as the Atom-powered Asus Transformer Book T100. 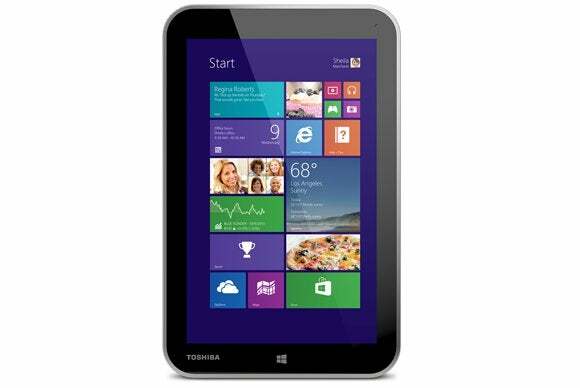 Finally, a Windows tablet that we can recommend without reservation. Dell’s 8-inch Venue Pro 8 runs the full Windows 8.1 operating system, so you can install and run just about any application that runs on Windows on a device that you can hold in one hand. Dell even includes a license for Microsoft’s excellent Office Home and Student 2013. The Venue 8 Pro’s display is bright and quite good, and the tablet’s battery will run all day—several days if you’re using it off and on. There is one drawback, though: Dell neglected to provide a video output, so you’ll have to rely on Miracast if you want to play movies on a bigger screen. We’ve only had our hands on the Toshiba Encore for a few days, but we’re excited with what we’ve seen so far. The Encore’s form factor is very similar to that of Dell’s Venue Pro 8 and it uses the same Intel Atom microprocessor, but we’ve already discovered that it remedies one of the Dell’s few flaws: It has a Micro HDMI output. If you’ve purchased an Xbox One, you might be interested in giving the Encore’s SmartGlass capabilities a try. Toshiba bundles the app with the Encore. We’ll post our full review of the Encore as soon as we’ve finished benchmarking it, but you can read this story for additional details in the meantime. You won’t mistake the XPS 8700 Special Edition for any of the over-the-top gaming powerhouses the boutique system builders sent for review this year, but this machine isn’t priced like any of those rigs, either. That’s not to say Dell shipped a 97-pound weakling. 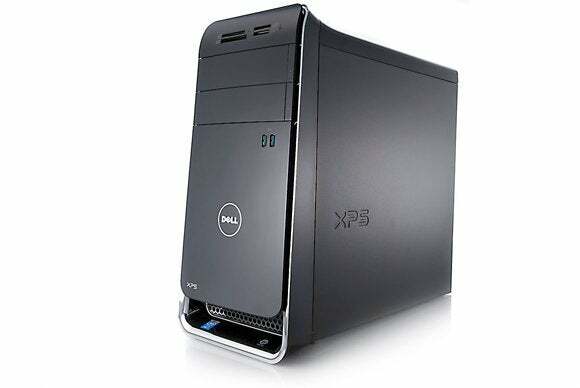 The XPS 8700 arrived with a Haswell-class CPU, a discrete Nvidia graphics processor, and 16GB of memory. That was enough muscle to enable us to play BioShock Infinite at resolution of 1920 by 1080 pixels with visual quality cranked to Ultra and still get 40 frames per second. That’s not bad for $1650. There’s more than one kind of desktop PC these days. 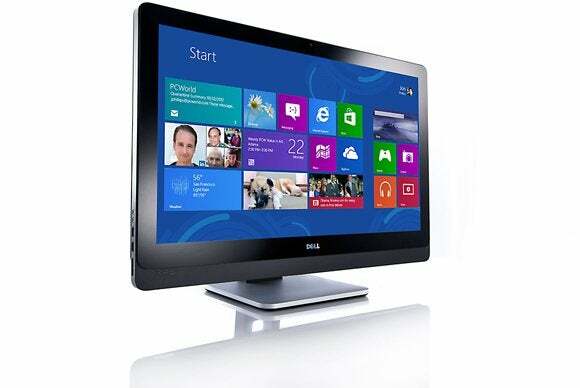 All-in-one PCs are perfect for the kitchen, family room, bedroom, or dorm room, and they can double as an HD display for your gaming console or set-top box. 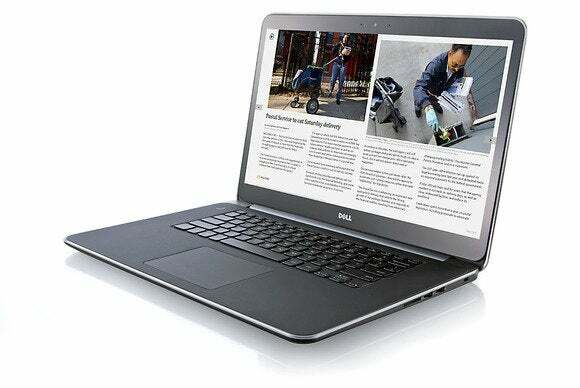 We saw no better example of that this year than Dell’s XPS 27 Touch. There’s a beast lurking behind that beautiful 27-inch touchscreen: A fourth-generation Intel Core i7 processor, a discrete Nvidia videocard, a full 8GB of memory, and 2TB of storage augmented by a 32GB mSATA SSD. You like the idea of an all-in-one, but you don’t want it to be tied down to just one room. 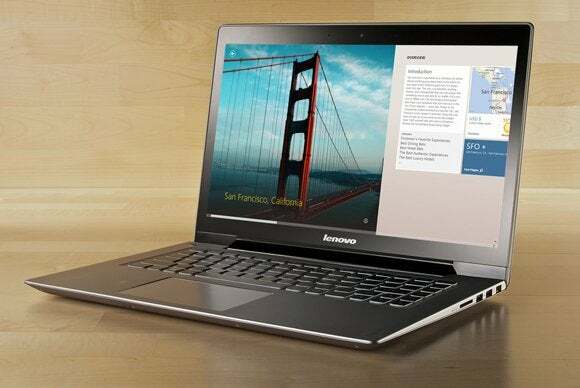 You, my friend, should take a look at Lenovo’s IdeaCentre Horizon 27. 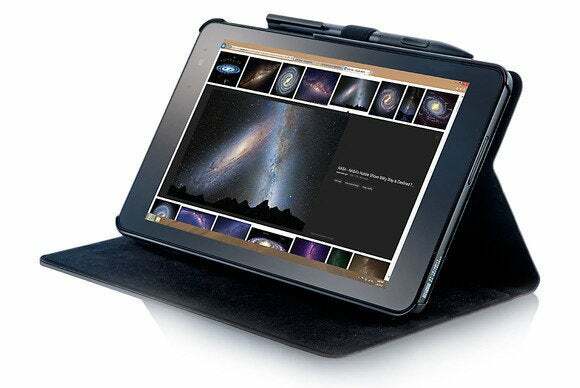 This desktop/tablet hybrid features a 27-inch display that can stand up like an all-in-one or lay completely flat like a tablet. And since it has the option of running on battery power, you can unplug it from the AC outlet and move it all around the house. Lenovo came up with an awesome mobile cart to make that even easier. The Horizon 27 is one of the best general-purpose family PCs I’ve seen, and it’s just the ticket for family game night. You have to see this machine for yourself to appreciate it. 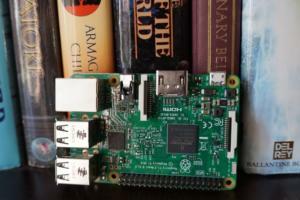 In the meantime, you can read our review of it and three competing systems.